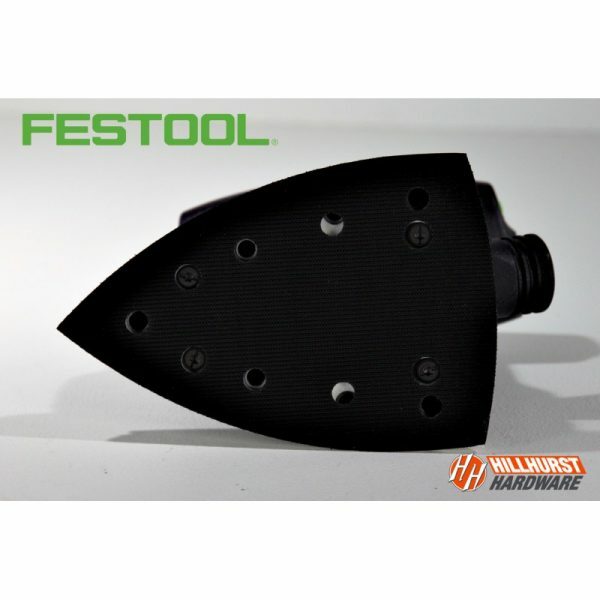 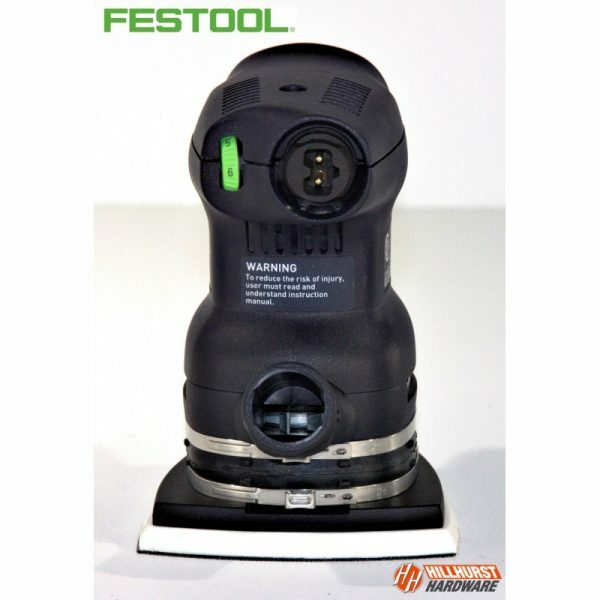 Featuring a compact balanced setup; great for one handed working overhead and in tight places. 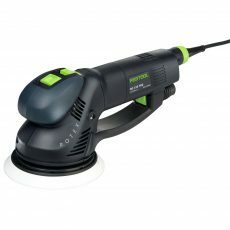 Vibration stop and ergonimic design delivers a smoother finish for fewer swirl marks and greater comfort. 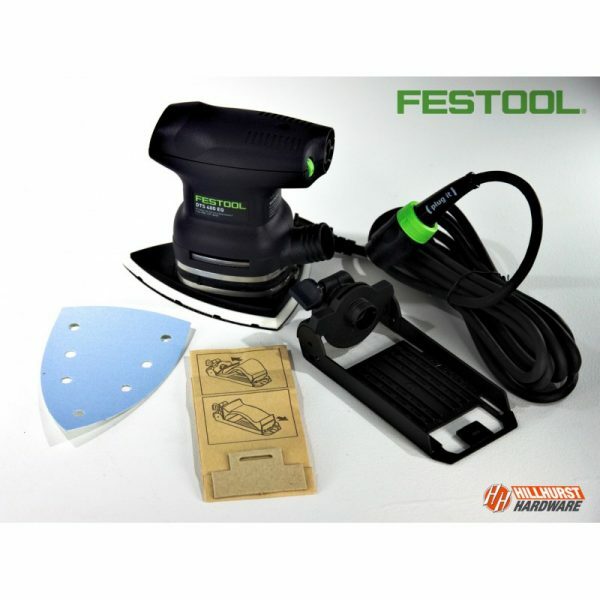 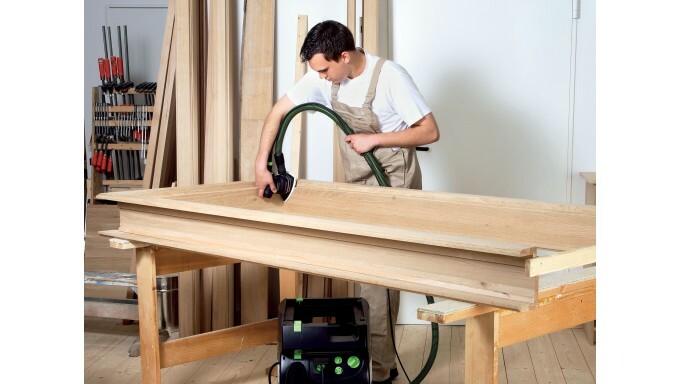 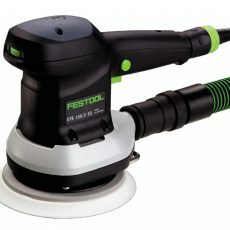 A great all around sander, the DTS 400 is designed for fine sanding small, angular surfaces that are difficult to reach. 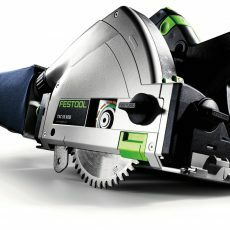 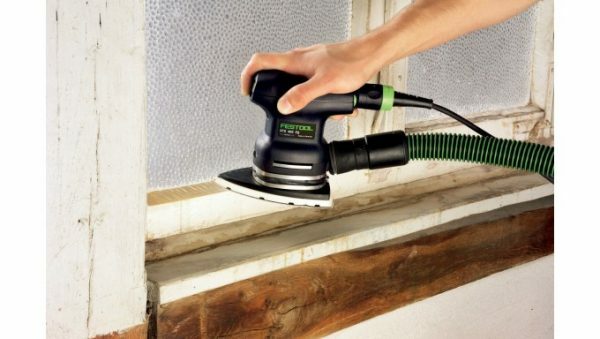 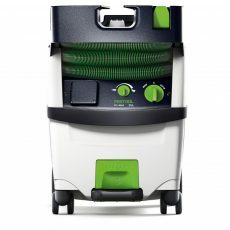 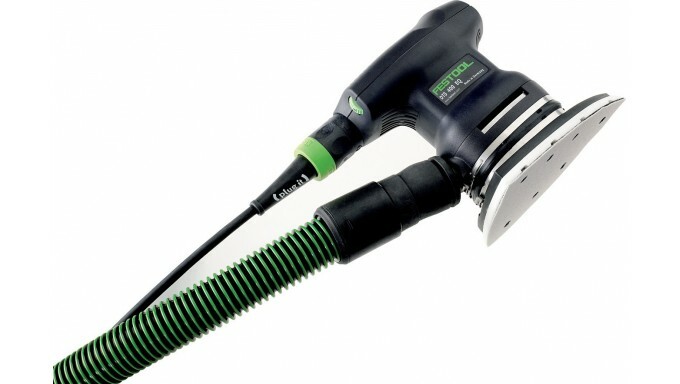 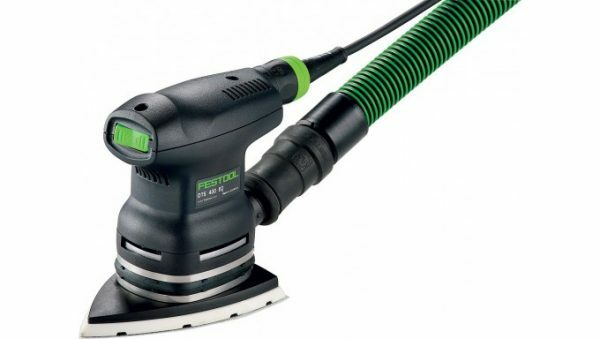 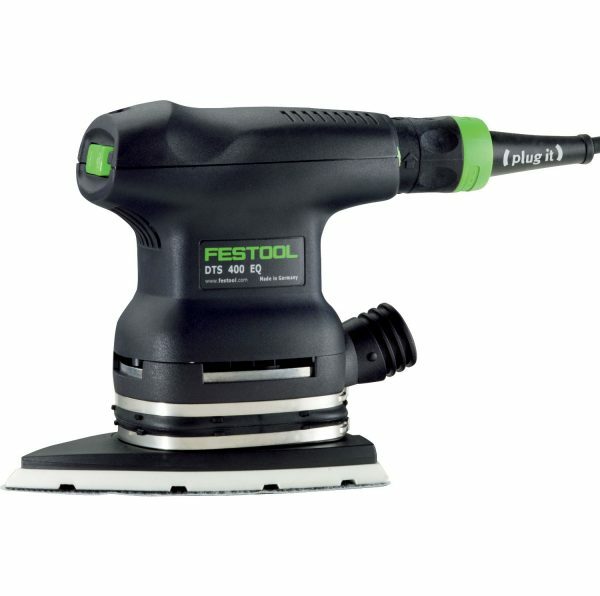 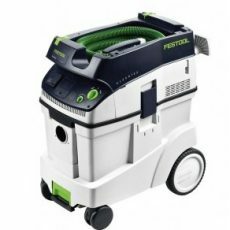 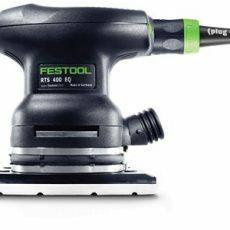 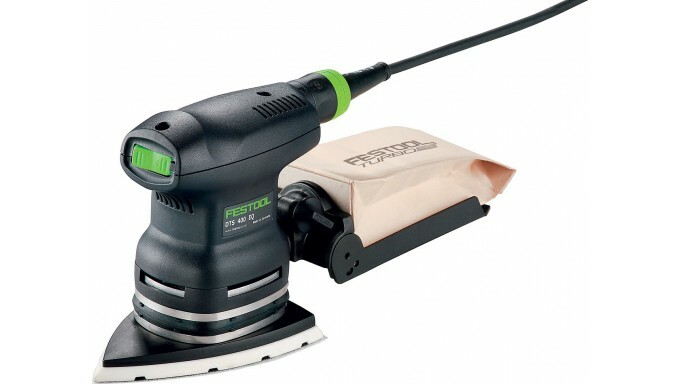 With a short 5/64″ (2 mm) stroke, this sander gives you a super-fine finished surface. 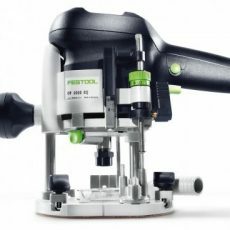 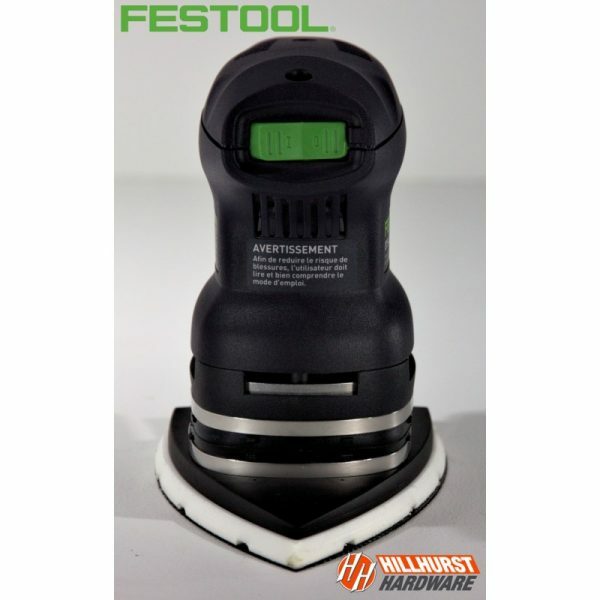 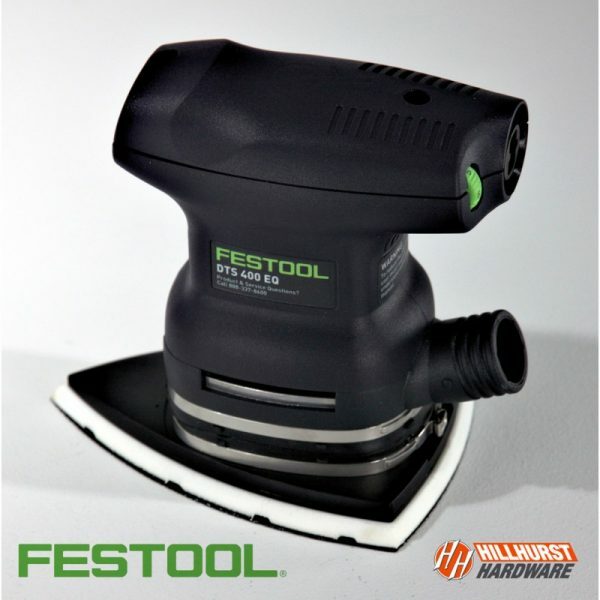 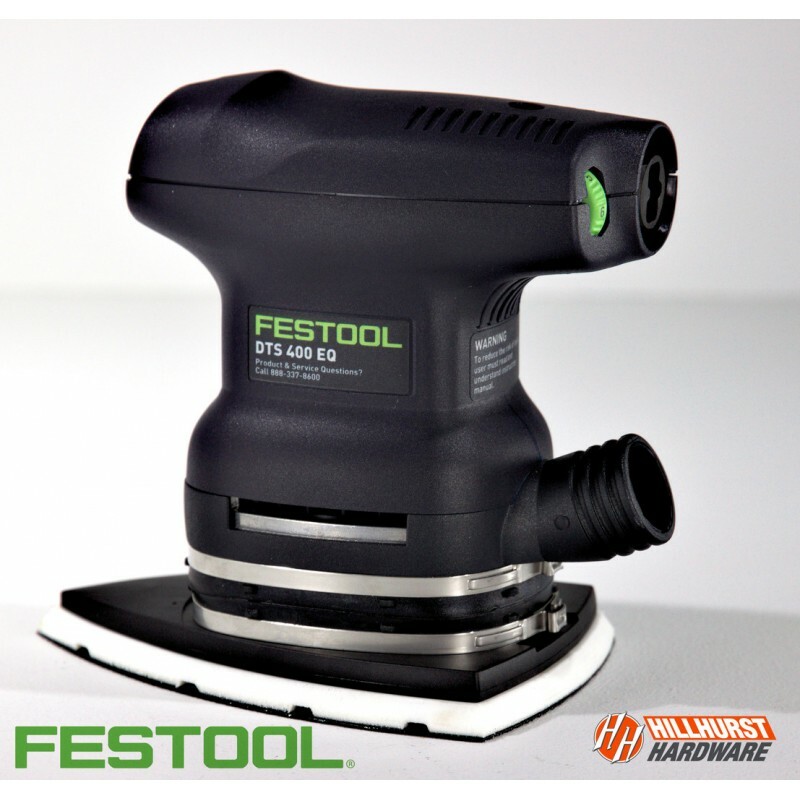 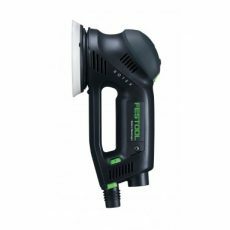 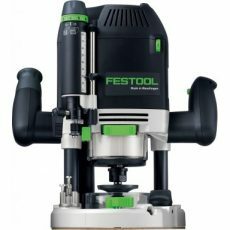 Both compact and lightweight (2.4 lbs), the DTS 400 is the ideal sander for working on vertical and overhead surfaces. 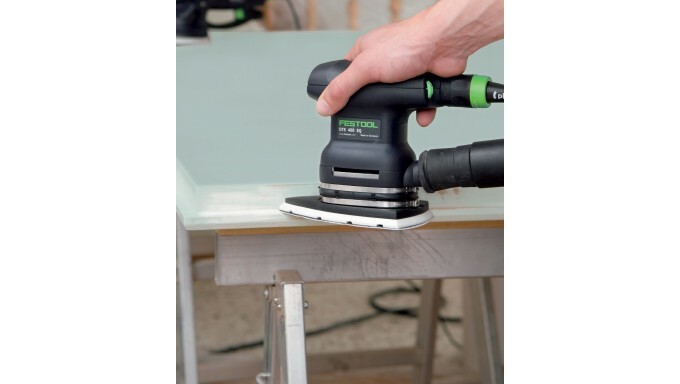 Step-less variable speed improves working results and the vibration-stop balancing makes your work less tiring. Convex sides for sanding edges and rabbets, and a triangular point for accessing corners. 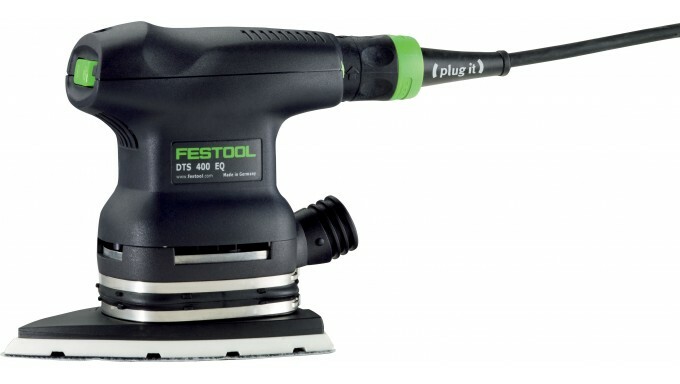 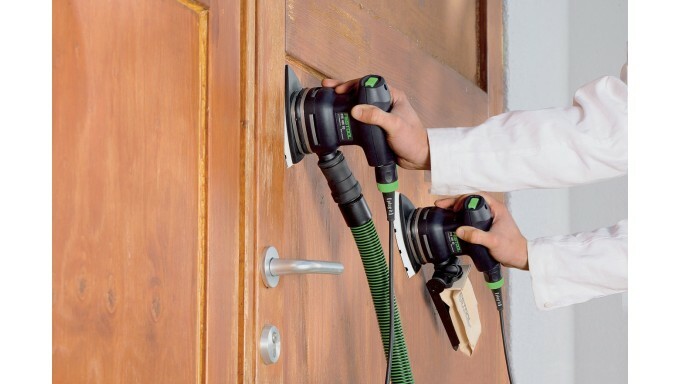 The DTS 400 is the perfect choice for sanding up against edges. 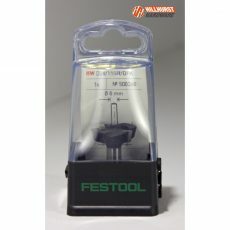 Conforms to your hand to help minimize fatigue during prolonged use. 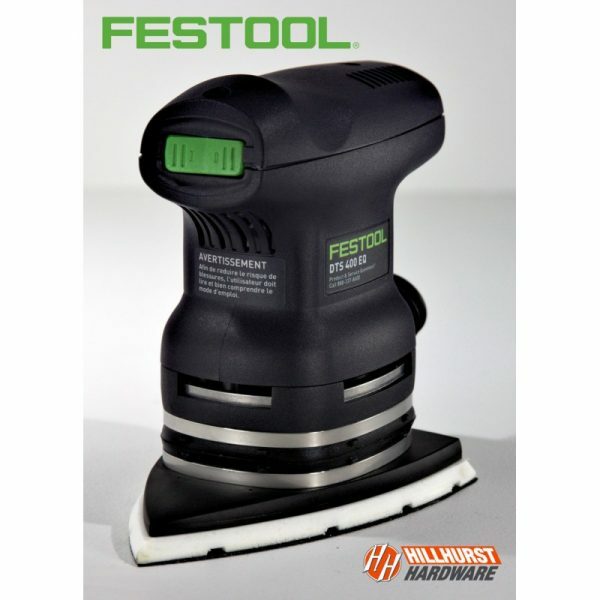 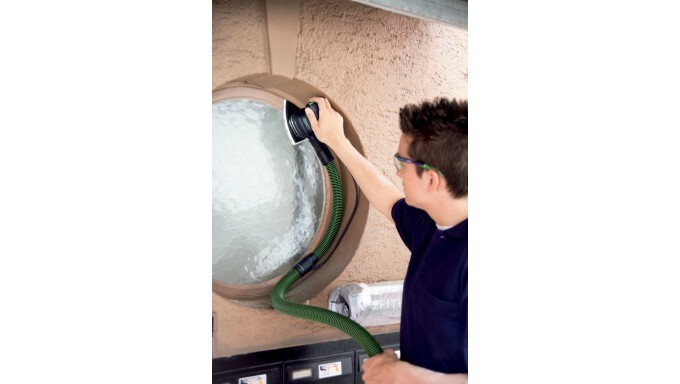 Compact design and low weight for working overhead or on vertical surfaces.